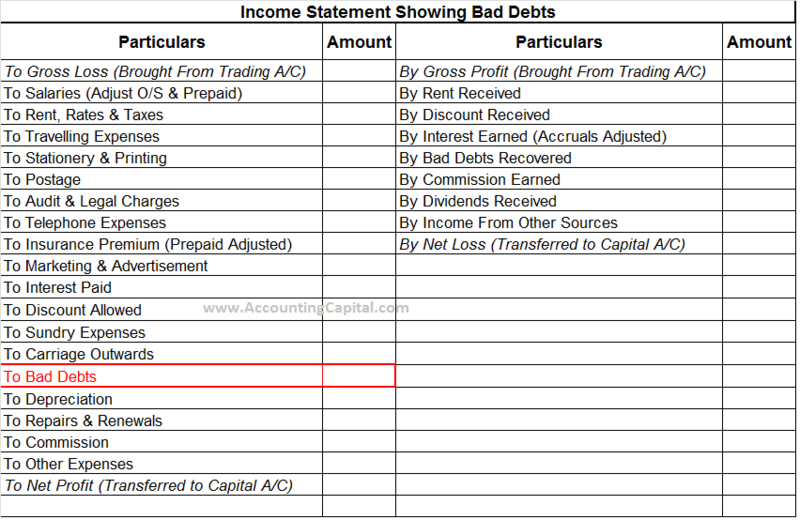 Home Basic Accounting What are Bad Debts? In a business scenario, amounts which are overdue to a business owner by their debtor(s) and are declared irrecoverable are called bad debts. There are few reasons for debtor(s) to not pay their debts on time, for example, a debtor going bankrupt or experiencing hardship due to business losses. This can either be the complete amount owed or a part of the debt. In some cases, the amount may be recovered in future or may completely be lost. While accounting for b/debts it is treated as a loss to business and reduces the amount of debtors. The full amount should be written off to the “Income statement” of the related period or against the provision for b/debts. They are losses, hence they are debited and debtor’s account is credited. 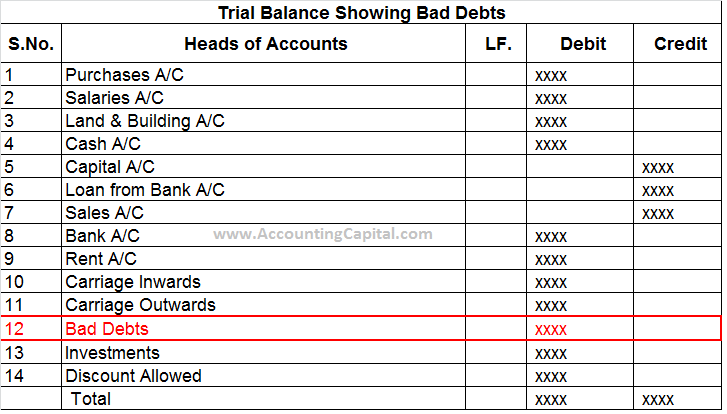 At the time of preparing final accounts debts which are written off during the period post-finalization of trial balance are transferred to profit and loss account by passing the below journal entry. Related Topic – What are Non-performing assets or NPA?